Building and maintaining market-specific regulatory processes are a significant challenge for Swiss banks and asset managers, and given the unprecedented economic challenges, these organizations are required to rethink the way they do business. “We see various banks considering – and some banks already implementing – how to automate business processes,” Bitterli said. “In the longer term it will empower compliance functions to make informed risk choices based on data provided insight about the compliance risks it faces and how it mitigates and manages those risks,” the report says. 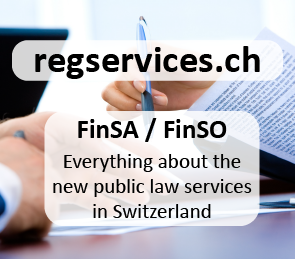 Today, we look at some of the hottest regtech companies in Switzerland. NetGuardians provides fraud and risk assurance solutions that leverage Big Data. The platform correlates and analyzes behaviors across the entire bank system – not just at the transaction level. Using smart behavioral analysis methods, NetGuardians has designed a technology that quickly identifies atypical activities, effectively controls data leaks, and alerts you to potential internal fraud. Founded in 2007, NetGuardians was the first company to emerge from the innovation incubator Y-Parc, in Yverdon-les-Bains, Switzerland. The company now serves clients based in Europe, the Middle East and Africa and is headquartered in Switzerland with offices in Kenya, Singapore, and Poland. NetGuardians has raised US$5.25 million in funding so far. Qumram has developed a Big Data platform that provides a fully-compliant and transparent digital audit trail of all online, mobile, and social interactions. Every digital interaction is entirely and lawfully recorded, and can be replayed on demand. The technology enables financial services organizations to retain digital records, securely and reliably, in a fully accessible form, in accordance with global regulatory requirements. Qumram also facilitates fraud detection, call center enquiry handling, and customer behavior analytics. The company has raised US$2.5 million in funding so far, and has recently been named as one of the Top 5 growth stage startups of the year as part of the Swiss Fintech Award 2017. The company’s main objective is to allow for the cost effective exchange of KYC data between regulated financial institutions and their clients. The Exchange holds the KYC data in a standardized format, triggers automatic updates whenever the data changes, and submits this data electronically so that it can be uploaded directly into the bank’s system. Finform’s solution can be used on all sales channels, whether that’s front end, mobile or online. A standardized and digitalized process across all sales channels allows for an accelerated on-boarding process, opening up new sales opportunities. Technical progress and new regulatory requirements are implemented automatically. According to the company, a combination of software and services ensures efficient processes. Complex cases which cannot be automated by the Finform application are dealt with by the company’s specialists in real time. Its extensive database is updated on a daily basis covering millions of companies globally. Users can also use their private data and real time news to take advantage of industry standard and proprietary algorithms. The company aims at promoting smarter collaboration within companies to work for a common goal: saving money through risk minimization. Apiax is currently being accelerated by F10 and is part of the six-month Prototype to Product (P2) program. The program assists yearly up to 20 selected, promising teams and startups to transition their prototype into a sellable product.